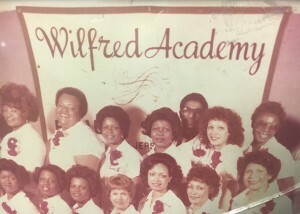 Mrs. Eloise Mitchell, top right, in her Wilfred Academy class photo. When Mrs. Eloise Mitchell, a member of Evening Star Baptist Church, saw that her “press and curl” clientele was dipping, she decided to do the business thing and follow the advice of a sister church member: take out an ad in the community paper. So now Our Time Press is the proud recipient of a new advertiser who is bringing us back to some old ways and remembrances of things past; OTP publisher Greaves’ grandmother Hazel Thomas-Anton owned a thriving beauty salon business in Harlem and then on St. Marks in Brooklyn, within a few blocks of where Ms. Mitchell’s shop The Hair Studio is located at 1507 Pacific Street, between Kingston and Albany Avenues. “I always remember my grandmother’s labor, on Saturday early mornings into late night, pressing hair and making her own way,” Greaves has said. So we visited her small shop on Bergen near Kingston one rainy morning last week to suggest some marketing strategies to help her reclaim an audience that still has faith in the hot comb. Just as we were asking her if the market for this particular art form was waning, in walked a customer, soaking wet but on time for her appointment. 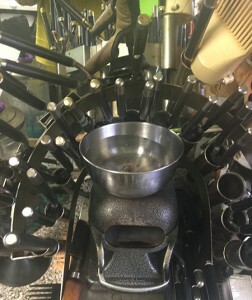 Curling irons at The Hair Studio, 1507 Pacific Street, between Kingston and Albany Avenues. But there’s one more thing: Ms. Mitchell and her business-mate Ms. Tina noted that their respective businesses were pushed off the main thoroughfare of Kingston Avenue by the form of community development that is giving gentrification a very bad name, and pushers a new meaning. The owner of the building that once housed Ms. Tina’s business recently surrendered it to fast-talkers for a paltry but hair-raising $150,000. 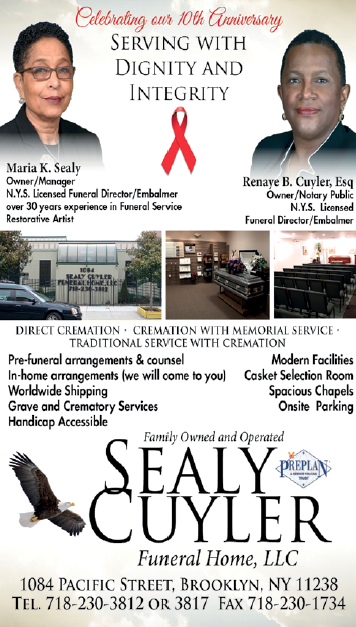 She, herself, was given just pittance to move her booth and belongings out of the building. She did, but not before a fight, and not before taking her time to leave.